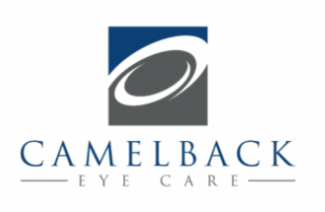 Welcome to Camelback Eye Care! The following are some things to help you properly prepare for your visit. We look forward to seeing you! There is a good chance the doctor will wish to dilate your eyes at your exam. Dilation give the doctor a much wider view of the back of your eyes, and therefore a more complete eye health exam. After your eyes are dilated, you will be more light sensitive and near vision may be blurrier for approximately four hours. Dark glasses will be provided to you for your comfort as you leave. Please bring a copy of your medical insurance to your appointment, even if you are coming in for a "routine" eye exam. Some eye conditions and testing are considered to be "medical care" and may be covered by medical insurance as opposed to vision insurance. Camelback Eye Care is proud to be an external rotation site for optometric interns at Midwestern University AZ College of Optometry. A portion of your exam may be with a student intern. These interns are completing their final year of training before graduating as Doctors of Optometry. Rest assured that ALL findings, prescriptions and eye health examinations are reviewed and double checked by the doctor. If you would prefer not to work with an intern, please do not hesitate to let the staff know when checking in for your appointment. Please fill out any paperwork prior to your visit if possible. Paperwork may be printed from our website, or filled out online. This will help to ensure that you are seen on time. If you are unable to fill out paperwork prior to your visit, please arrive 15 minutes before your appointment time.